Build, Create and Play with all your favorite characters from Rudolph the Red-Nosed Reindeer. * Get into the Christmas spirit with dozens of Holly Jolly mini games. * Learn the story behind your favorite characters from the movie! * Help Mrs. Claus bake cookies or help Yukon search for gold! Rudolph the red nosed reindeer ds - I Love it! 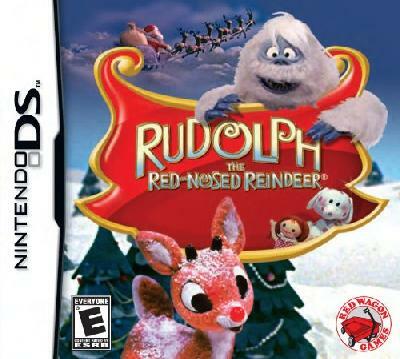 (^_^), November 2..
Hi everyone, I'm one of the developer's for the Nintendo DS version of Rudolph the Red Nosed Reindeer. I'd like to take the time to tell you our game has no relation to the game-play of the Nintendo Wii version. The DS version features four full stories, one being the original from the TV special, over 20 individual types of mini-games such as: build a snowman, Hermey's (hermie's?) dentistry, build a scene, paint by numbers, etc. We also have 100 minigames total (of the 20 individual types of minigames we ..
Dom DeRose - See all my..
Well I read the reviews for the WII version of this game and was wishing I hadn't pre ordered it for the DS. However, it is very diffent! There are 22 mini games to play and most of them have 5 levels. No they are not meant for an adult but I enjoy it anyway. I think its better suited for 12 and under. There are also 4 stories and each has its own games as you 'read' it. It seems to follow the movie exactly. I LOVE this movie and all the characters in it and all of them are in the game too! I like ..
stlblue1 - See all my r..